For those of you who haven't seen the news, San Francisco's Board of Supervisors voted last week to ban the marketing of unhealthy kids' meals with toys. The public's response has been sadly predictable. Reading comprehensionly challenged folks are up in arms talking about the government having no right to tell them what they should be eating, but of course the ban has nothing to do with banning what they eat, rather it has to do with how food is sold. Ultimately the aim of the ban is to make it more difficult for folks like McDonald's to continue its predatory practice of targeting children with toys to entice them to nag their parents to take them to eat unhealthy so-called Happy Meals. So by what criteria does San Francisco plan to judge kids' meals? 1. Excessive Calories: Defined as greater than 600 for the whole meal or greater than 200 calories for a single food item. 2. Excessive Sodium: Defined as greater than 640mg for the whole meal or greater than 480mg of a single food item. 3. Trans fat: Defined as more than 0.5grams. Curious, I decided to check Canada's Heart and Stroke Foundation Health Check program's kids' meal criteria. What did I find? 1. No caloric guidance whatsoever. 2. A 12.5% higher sodium allowance at 720mg for the meal with no single item exclusions. 3. A 50% higher trans fat allowance. Putting aside the obvious face-palm associated with the Heart and Stroke Foundation by means of their Health Check restaurant program overtly promoting eating out, it would seem that as far as the San Francisco Board of Supervisors is concerned, Health Checked kids' meals certainly aren't happy ones. 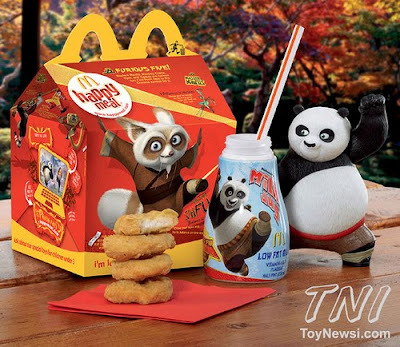 "@TheHSF San Francisco bans toys w/meals that are high in fat, salt http://bit.ly/bStIXY #kids #moms"